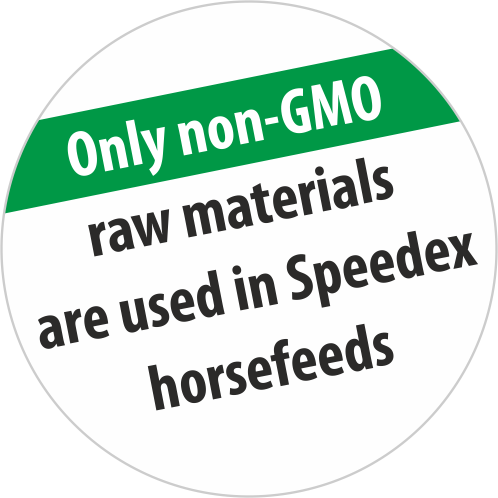 Speedex Complete is a well balanced mix of protein and energy. It includes grass meal, linseed, live yeast and high fibre content to promote gut health. Doesn't contain any oats. barley, wheat bran, sugar beet pulp, grass meal, wheat, liquid molasses, linseed cake, vegetable oil, calcium carbonate, salt, soybean meal, premix, magnesium oxide, YEA-SACC®, SEL-PLEX®, BIO-MOS®, flavor.